on BBSs or Networks, PLEASE distribute this version too. the IBM-PC and the Macintosh. way to confirm this, but I thought I'd set the record straight. Please indicate the version number of your copy with your registration. Suggestions and comments welcome with registration. The product is written entirely in Aztec C 3.6, by Manx. Thanks for SDB. 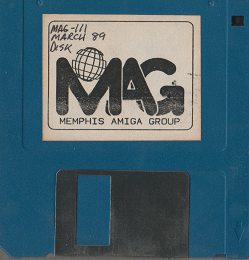 Several members on the Amiga Atlanta, Inc. TechSIG, for Beta testing.